Circa 1836. The handsome brick home located one block from the town square promises a getaway full of memories. 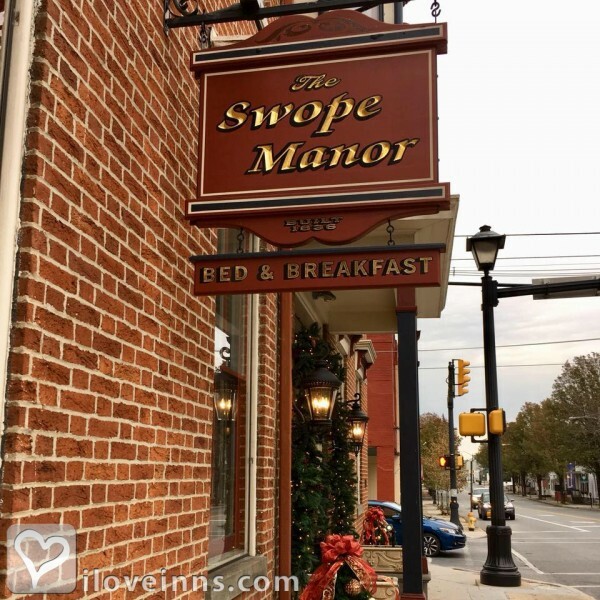 The building itself is steeped in history having served as the home of a prominent Gettysburg family, apartments, business offices, a doctor's office, and lastly, a relaxing bed and breakfast. 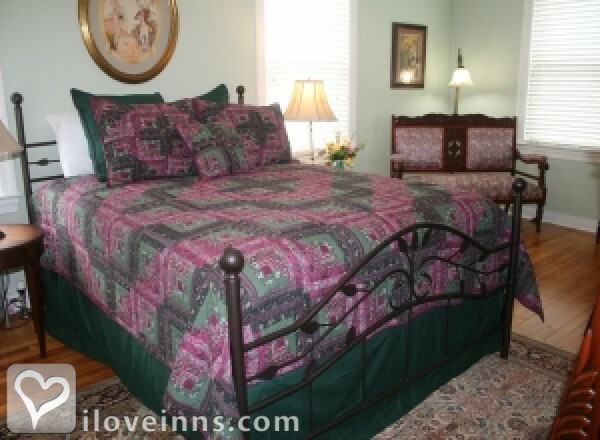 Thirteen guest rooms are featured at the inn. Homage to the inn's history is played out in some of the rooms. 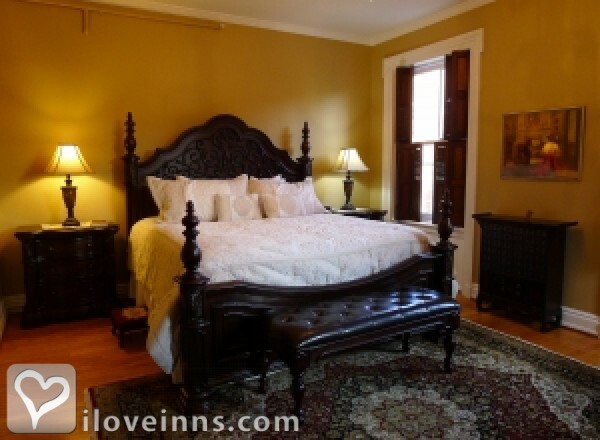 Miss Dorothy's Suite is an executive level second floor accommodation named in honor of a previous owner that wished to convert the building into a bed and breakfast; it boasts a king bed, electric fireplace, and jacuzzi tub. Relax under an umbrella on the patio with a book. Forgot to bring something to read? Guests are sure to find something on the floor-to-ceiling bookshelves in the library. The inn is pleased to host outdoor weddings for up to 100 guests, overnight retreats, and business dinners. 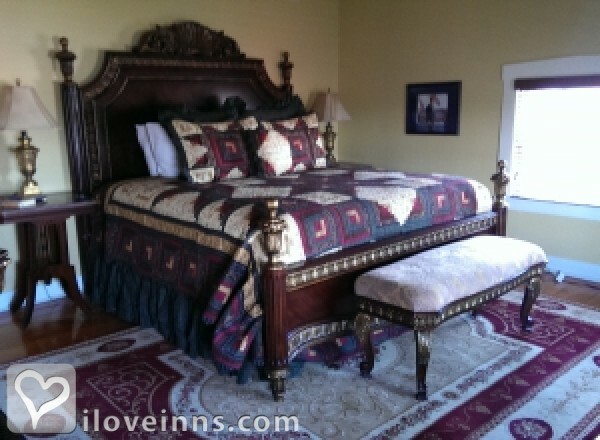 This property has 13 total guest accommodations, 6 suites. The types of beds available include Queen and King. Courtyard area with large deck, tables, chairs and a fire pit. This luxurious second floor Executive Suite overlooking York Street is dedicated to Miss Dorothy, who was the previous owner of the home until 2012. Miss Dorothy purchased the 8700 square foot home in June of 2001 with hopes of someday turning the home into a Bed and Breakfast. Although, during her ownership she was not able to open the home as a Bed and Breakfast she used the home as an art studio and converted the Carriage house into her doll shop. 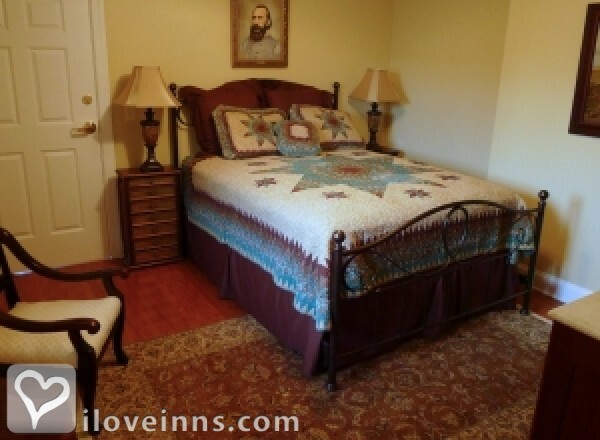 Honoring Major General George Meade, this attractive room has all the finishing touches of home. General Meade was a career army officer who fought in two wars prior to the American Civil War and rose through the ranks. General Meade was taken by surprise when he was given command of the Army of the Potomac by President Lincoln just three days prior to the battle of Gettysburg. Knowing that Lee and his Army of Northern Virginia were heading north, Meade began his pursuit of Lee to protect his country and Washington. Just days later would find himself in Gettysburg. 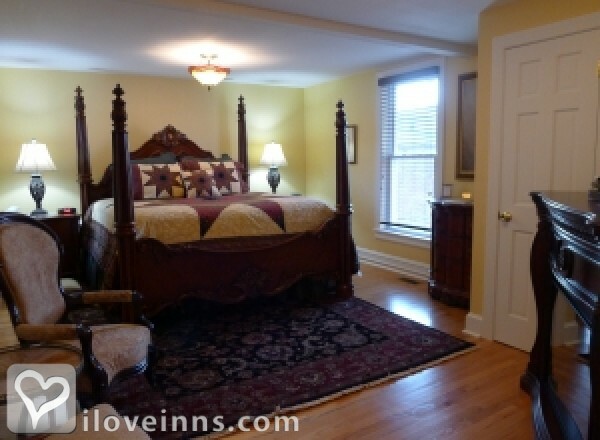 Devoted to the historic town of Gettysburg this room offers you nostalgic indulgence and dreams of a time gone by. Gettysburg was founded in 1786 and named after Samuel Gettys who was an early settler and tavern owner. Not only does it have a place in history but also many famous people have called Gettysburg home such as Congressman Thaddeus Stevens (1861-1868), Hall of Fame Pitcher Eddie Plank "Gettysburg Eddie" and President Dwight Eisenhower, just to name a few. 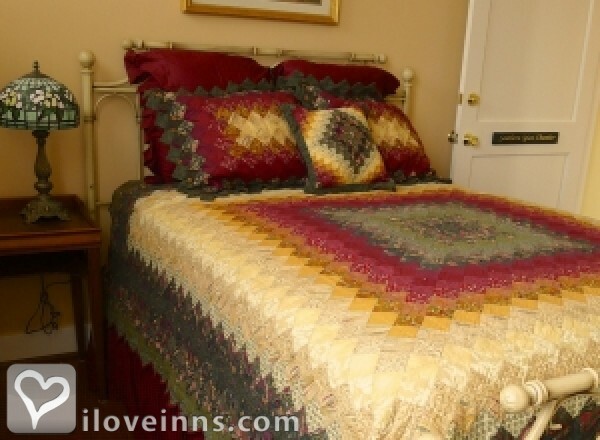 Jacob's Den is a wonderful, comfortable room located on the second floor room with a street view, Queen size bed with high-quality linens and bedding and a Standard shower and tub. Upscale amenities include Air conditioning, Clock radio, Electric fireplace, Hairdryer, High speed internet access, Iron/Ironing board available upon request and a LED flat panel Satellite TV with HBO. 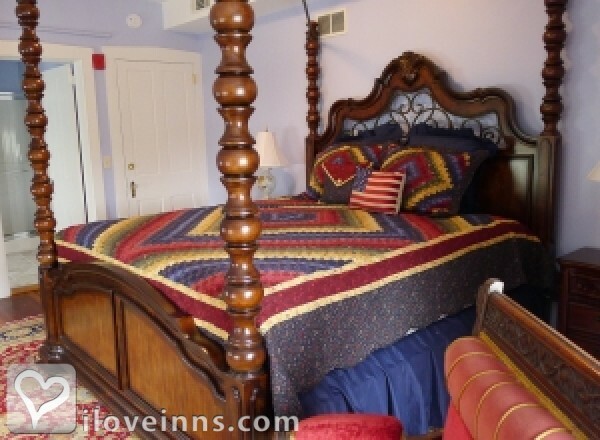 This deluxe room with its southern charm is named after Lt. General James "Old Pete" Longstreet who is one of the most notable Confederate commanders of the Civil War. Commanding the First Corps of the Army of Northern Virginia, his men at the battle of Gettysburg would fight at Devils Den, Wheatfield, Peach Orchard as well as the attack of Little Round Top. My old war Horse as Gen. Lee called him, Longstreet on July 3rd was the lead commander of Pickett's Charge(Longstreet's Assault) which is a day that changed the tide of the Civil War. After the war many of Longstreet's decisions and actions were very controversial to southerners and in 1895 he would publish his 800 page memoir titled "From Manassas to Appomattox". 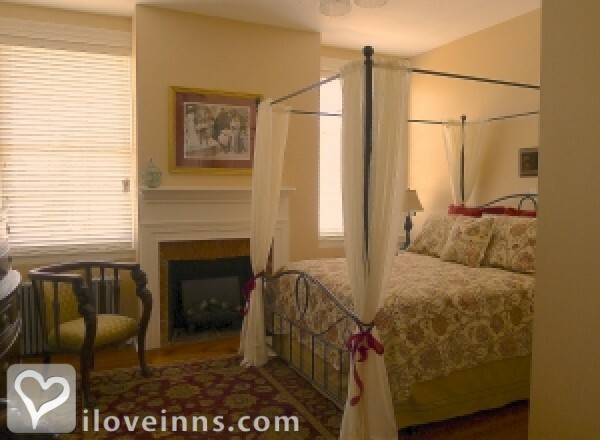 Miss Emily Rose Chamber is a second floor room with a street view, Queen size bed with high-quality linens and bedding and a Standard shower and tub. Upscale amenities include Air conditioning, Clock radio, Electric fireplace, Hairdryer, High speed internet access, Iron/Ironing board available upon request and a LED flat panel Satellite TV with HBO. With the Mason Dixon Line just minutes from the Inn we devoted this room to southern hospitality. The Southern Spice Chamber in all its grandeur offers you the warmth and charm of the South with its attractive furnishings and comforts of home. 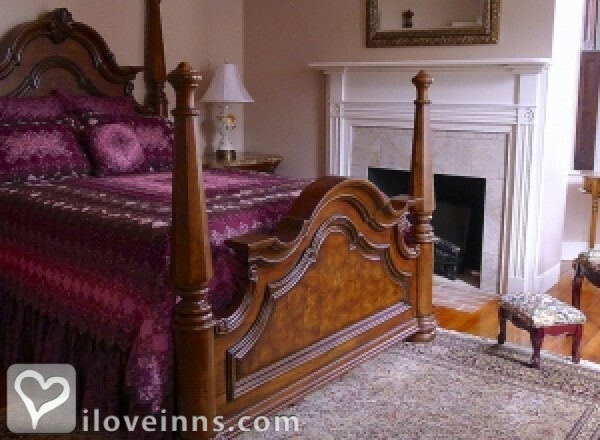 This deluxe room is a toast to Cabernet Sauvignon and the wine country of Adams County. While staying as our guest take a driving tour to view the wonderful vistas our wine county has to offer. 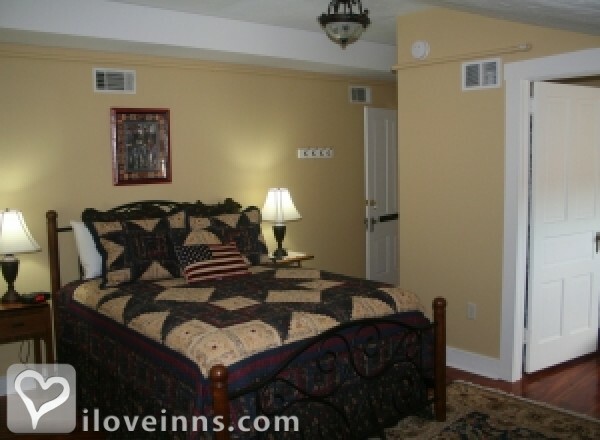 Like the fine wine this room is rich in color and offers elegant furnishings and upscale amenities.